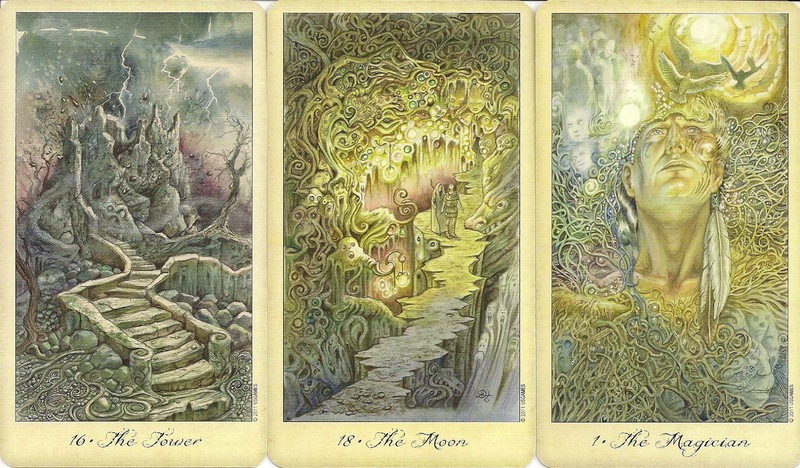 The deck follows a traditional structure, with Strength at VIII and Justice at XI. As in Hunt's other tarots the Hierophant becomes the High Priest, and the Devil becomes Chains. The suits are entitled Wands, Cups, Swords, and Pentacles. The Court Cards are entitled King, Queen, Knight, and Page. 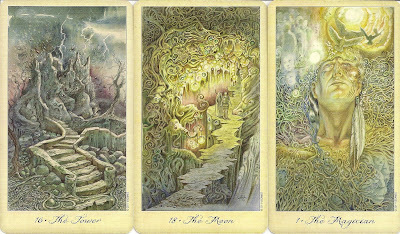 There are 79 cards including an unnamed card which could serve as a Significator, it shows the head of a figure that appears to be behind bars, another face right of the central face and more faces below. The cards are standard U.S Games size, with a glossy finish and beige borders The titles are in a cursive script. The deck comes with a 60 page LWB in English. 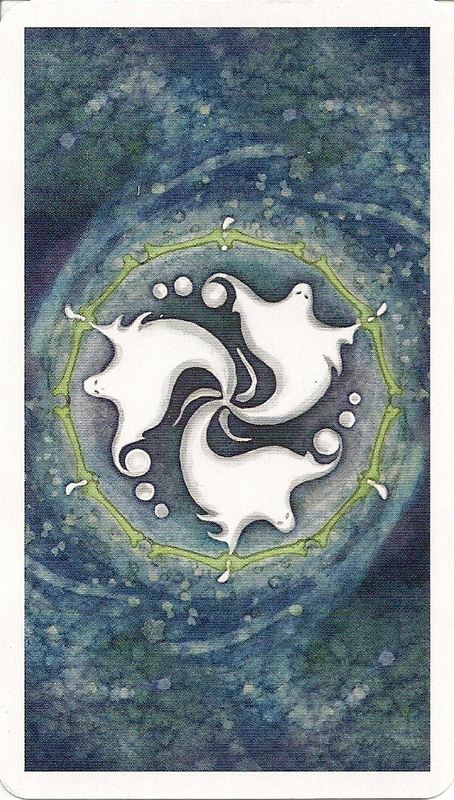 The background is blue, with a triskelion of three white ghosts in the center. The card backs are reversible.